ST. GEORGE — Police, family and friends are searching for 25-year-old Tyson Cook who went missing Wednesday morning in Orem and is considered endangered. A sister of Cook’s said Friday that her brother suffers from a rare autoimmune disease called Hashimoto’s Encephalopathy and that he had not been feeling well at the time of his disappearance. Cook attended Bloomington Hills Elementary School in St. George, his sister said, and is familiar with the Southern Utah area. The Provo Police Department listed Cook as a missing and endangered person early Thursday afternoon. Cook, who has a week-and-half-old baby, didn’t take credit cards or have a lot of cash with him when he went missing, according to Cook’s family. 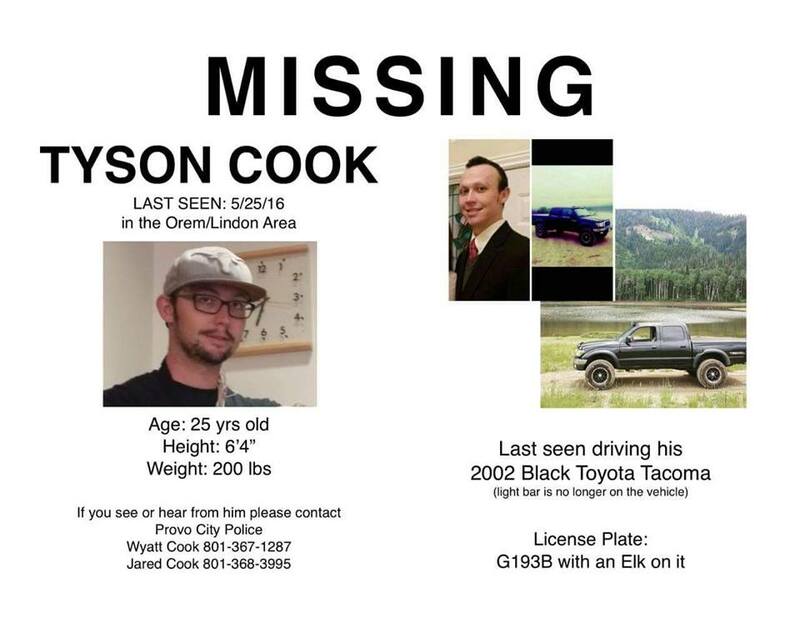 Cook drives a 2002 black Toyota Tacoma with Utah license plate G193 B with an elk on it. 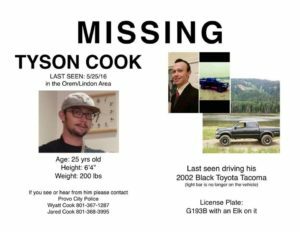 Cook’s family and friends have created a Help Find Tyson Cook Facebook page to help organize a search for the missing man. 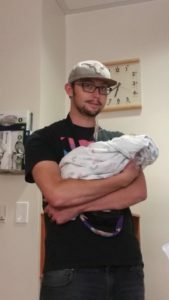 Anybody with information regarding the whereabouts of Tyson Cook is asked to call the Provo Police Department at 801-852-6210.